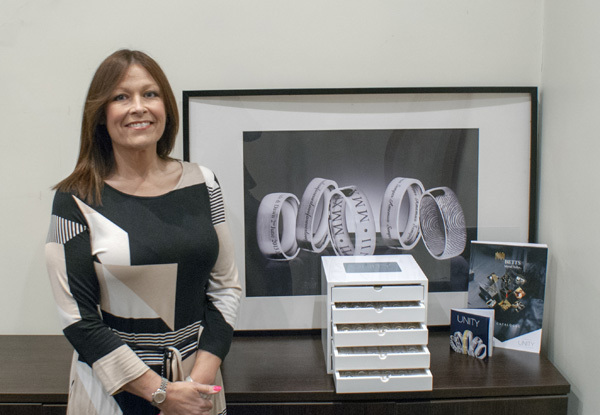 The Betts Group welcomes Lisa Davies as the new UK Sales Manager for Unity Wedding Bands. Lisa is responsible for Unity Wedding Bands sales, client relationships and expansion of the customer base across the United Kingdom. Lisa has been in the business for 30 years after starting with Johnson Matthey and since then her passion for jewellery has grown, as have her relationships with contacts in the trade. Lisa has joined The Betts Group after eight years at Ti Sento where she worked closely with Houlden Jewellers of Excellence and The Company of Master Jewellers.